This subject comes up every time Glock comes out with a new generation. And it really started coming up with SIG 320 winning the service pistol contract. I see two general “suggestions” people have for Gaston Glock. The first is to make a Glock pistol with an “American” grip angle. The second is to make a pistol that is more ergonomic in the grip area. This is especially brought up when talking shooters with smaller hands. Incidentally, why do you think the US Army named the RFP contact as a “Modular Handgun System”? Here’s a clue. They don’t gave a hoot about changing calibers or all these other doodad tricks the gun-geeks get all excited about. They wanted a handgun that ideally fits more troops across the entire force. Not just the mongo-boys who operate, operationally. 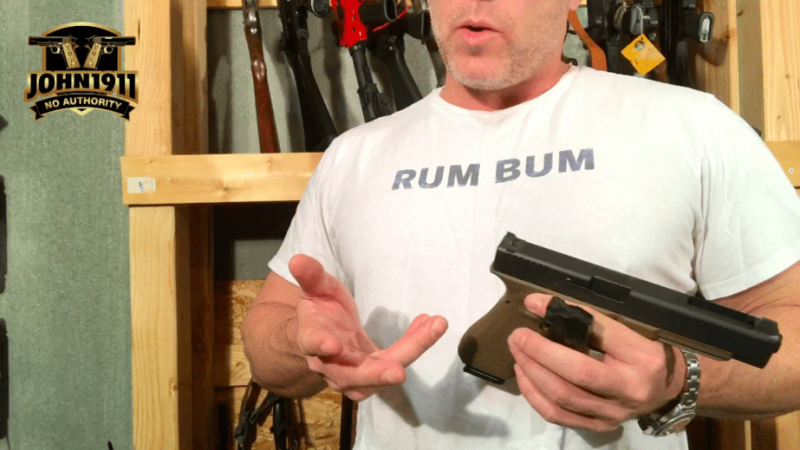 So why hasn’t Glock made a more American friendly pistol? Maybe one that has the same grip angle as a 1911? Simple. That American Glock would have to take a new, proprietary magazine. All those existing Glock mags across the market wouldn’t fit in this new gun. Guess how that would go over? People would be accusing Glock of trying to extort money out of it’s customers or attempting to put 3rd party Glock mag makers out of business. Frankly, I don’t blame them one bit for not doing it. Because the customer isn’t always right and as soon as you gave them what they asked for, those same customers would $hit in your Wheaties and not buy the thing!